The present endeavour was directed towards fabrication of the novel colon drug delivery system of ketorolac tromethamine capsule. Hard gelatin Capsules were fabricated using combination of both microflora activated natural polysaccharide (guar gum) and pH-dependent polymer (cellulose acetate phthalate). In vitro drug release studies revealed that Ketorolac tromethamine granules bearing hard gelatin capsules coated with cellulose acetate phthalate released drug only at higher pH (6.8 PBS), in vitro drug release studies showed that capsules were retained in stomach pH (1.2 N HCl) with-out any drug release, whereas minimal amount of drug release in small intestine pH (7.4 PBS) and almost drug release showed in the colonic pH (6.8 PBS). The rate of drug release was observed fast with caecal content (4% w/w rat caecal) than the control medium. Hence 50% guar gum containing coated capsules may be potentially useful for delivery of ketorolac tromethamine for colon. The drug release follows case ІІ (non- fickian) diffusion control mechanism. INTRODUCTION: In recent years, colon-specific drug delivery system (CDDS) has been focus of intense research.1 Colonic drug delivery system preferred in the treatment of localized diseases such as ulcerative colitis, Crohn’s disease and constipation. Colon is a promising site for systemic absorption of peptides and proteins.2,3 The various pharmaceutical approaches which have been used for targeting drugs to the colon are mainly based on pH- dependent, time–dependent, osmotic pressure and/or microbial degradable polymers.4,5 Among these approaches, pH dependent system are simple but the suitability of them for using alone as a colonic delivery system in different physiological and pathological conditions in gastrointestinal (GI) tract has been doubtful 6. Ketorolac tromethamine was selected as a model drug because it belongs from NSAID’s category which used for anti-inflammatory and analgesic effect, as equal potent to opoid analgesic (morphin) and used for post-operative pain. It has a most frequent adverse effect (gastritis), while it has good indication for colonic delivery. Therefore it was decided to develop formulation using combination of pH dependent and microflora activated polymer to ensure drug release under different physiologic conditions in colonic site. Material: Ketorolac tromethamine (Torrent Pharmaceuticals, Ahmedabad), Guar gum (Loba chemicals,), Cellulose acetate phthalate (Merck Pvt. 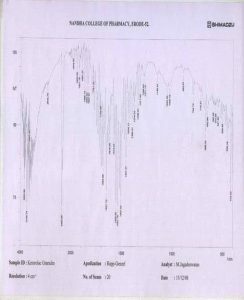 Ltd.), microcrystalline cellulose (SD fine chemicals Ltd.), Starch (SD fine chemicals Ltd.), Talc (SD fine chemicals Ltd.) and Magnesium stearate (Nice chemicals).All the ingredients used in study were of analytical grade. Preparation of capsule: Capsules were prepared by wet granulation technique using starch paste as a binder. Guar gum was included in the formulations in various proportions (Table 1). The composition of different formulations used in the study containing 20mg of Ketorolac Tromethamine. In all different formulations, granules containing 30% guar gum (F1), 40% guar gum (F2), 50% guar gum (F3) and 60% guar gum (F4) were prepared. Guar gum was sieved through mesh (250µm) and mixed with Ketorolac (149 µm) and microcrystalline cellulose (250 µm). The powder were blended and granulated with 10% starch paste. The wet masses were passed through a mesh (1190 µm) and were lubricated with a mixture of talc and magnesium stearate (2:1). The lubricated granules were filling in the capsule shell. The granules were evaluated for their physical characteristics like true & tapped density, angle of repose, drug Content uniformity and compressibility index have determined as per standard methods. Coating of the capsules 7, 10, 11: The filled capsules were completely coated with 5% w/v cellulose acetate phthalate in acetone with 5% w/w tri-ethyl citrate with respect to dry polymer and then talc was added as glidant (2.5% w/w with respect to dry polymer), to prevent variable gastric emptying. Coating was repeated until 8-12 % increase in weight was obtained. In vitro drug release study 12, 13: Drug release studies of uncoated and coated capsules were carried out in USP (XXIII) dissolution paddle type apparatus, at a rotation of 100 rpm in 900 ml medium at 37 ± 0.5°C. Release studies were carried out in dissolution medium with and without rat caecal content (4% w/w). A capsule contains (eq. 20mg drug) was transferred to the dissolution medium. 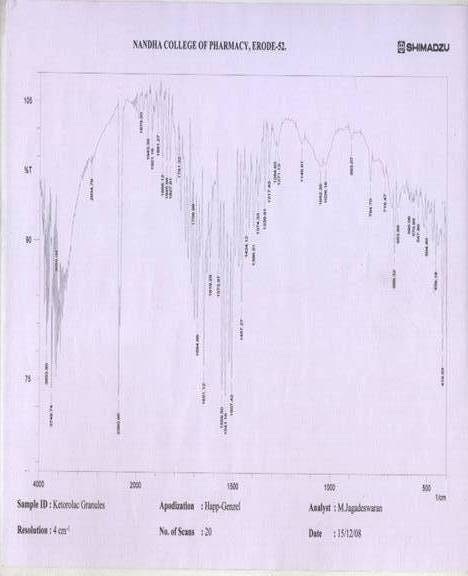 At predetermined intervals, the samples were taken from the dissolution medium and make a suitable dilution and take absorbance at 322 nm on a UV spectrophotometer (Schimadzu-1700). All assays were repeated 3 times and the mean value was reported. For simulating conditions of the GI tract, drug release studies were performed in dissolution medium with pH 1.2 (0.1 N HCl) for first 2hr, pH 7.4 (PBS) for next 3hrs and 100 ml of pH 6.8 (PBS) for further 20 hrs study with and with out rat caecal content (4% w/w). The cumulative amount of drug release was calculated. RESULT AND DISCUSSION: The IR study was carried out to know the compatibility of the excipients with ketorolac, the active constituents of the formulation. The above study confirms that the drug and excipients in the formulation are compatible with each other (Fig. 1 & 2). All different formulations were evaluated for their physical characteristics and determine true density, tapped density, angle of repose and % compressibility index were respectively found to be between 0.201 to 0.279, 0.482 to 0.647, 23041’ to 25060’ and 8.34 to 11.23 respectively, results shows that all granules have excellent flow property. The uncoated ketorolac capsules F1, F2, F3 and F4 subjected to drug content uniformity by UV spectroscopy method at 322 nm. The capsules were found to be containing between 96.37 % to 103.84 % of ketorolac Tromethamine, these indicate uniformity of drug content. The capsules of ketorolac had ± 5% mg of weight variation. This showed that prepared capsules were uniform in weight & % drug content are in uniform manner (Table 1). The capsules were subjected to in-vitro drug release studies in 0.1 N HCl for 2 hrs and phosphate buffer (pH 7.4) for next 3 hrs and simulated colonic fluid at pH 6.8 for further next 20 hrs (Table no.1). The ketorolac capsules containing 30%, 40%, 50% and 60% of guar gum (F1, F2, F3 and F4), slightly swollen at the end of 5 hr of dissolution study in the physiological environment of stomach and small intestine. The percentage of ketorolac released from F1 in first 2 hr at the pH 1.2 was 26.38% and at the end of 5 hr (pH 7.4) was found to be 35.11 % where as at the end of 19 hrs of dissolution study with pH 6.8 phosphate buffer without caecal content medium it was found 99.19 %., When the guar gum quantity in capsule was increased to 40% (F2), 50% (F3) and 60% (F4), the % drug release were found to be decreased in first 2 hr at pH 1.2 21.49,18.38 and 16.93% and for next 3hrs 32.33, 24.68 and 23.58 % respectively and 97.39% at the end of 23 hr for F2, 90.35% at the end of 25 hr for F3 and 81.93% at the end of 25 hr for F4 (Figure 3). On exposure to the dissolution fluids, the gum gets hydrated and forms a gel layer around the granules that shows down further seeping in of the dissolution fluids to words inside the granules. The formulation released almost 20 to 40 % of drug in physiological environment of stomach and small intestine. In view of successful delivery of ketorolac in the physiological environment of colon, it was essential either for prevent or minimize release of ketorolac in the physiological environment of stomach and small intestine and should improve the release rate in the colon. The capsules were subjected to coating with enteric coated polymer (Cellulose acetate phthalate) for prevent or minimize drug release in stomach and small intestine. The coated capsules were subjected to in-vitro drug release studies in 0.1 N HCl for first 2 hrs and at pH 7.4 phosphate buffer for next 3 hrs and in simulated with and without colonic fluid (rat caecal content 4% w/w) at pH 6.8 for further next 20 hrs. The ketorolac capsules containing 30%, 40%, 50% and 60% of guar gum (CF1, CF2, CF3 and CF4) remained intact and slightly swollen at the end of 2 hr of dissolution study in the physiological environment of stomach, and at the small intestinal pH (7.4) coating of the capsule was dissolved. The percentage of ketorolac released not shown from any coated formulation at the end of first 2 hr, and further next 3 hrs. Study was found to be 21.29 %, where as at the end of 25 hrs of release study with pH 6.8 phosphate buffer (without caecal content) it was 99.18 %. When the guar gum content of capsule was increased to 40% (CF2), 50% (CF3) and 60% (CF4), the % of drug release decreased to 9.38, 3.84 and 3.11 % respectively in the first 5 hrs and 85.63, 64.27 and 58.29 % respectively in the next 20 hrs of the release study. The drug release study of coated capsules with caecal content (4% w/w) medium were found to be as similar anaerobic condition of colonic fluid. The percentage of drug released not shown from any coated formulation at the end of first 2 hr, and at the end of 5 hrs, drug release of CF1 was found to be 20.43 % and at the end of 13 hr. drug release was found to be 98.59 %. Whereas CF2, CF3 and CF4 were found to be 8.73, 3.08 and 2.6 % drug release respectively in the next 3 hrs and almost 99 % drug release in 17, 21 and 23 hrs respectively in release study (Table 2 & Fig. 4). code Mean % CDR at the end of 2 h Mean % CDR at the end of 5 h Mean % CDR Up to the end At the end of hrs. The in vitro release data was applied to various kinetic models to predict the drug release kinetic mechanism. The release constant was calculated from the slope of appropriate plots, and the regression coefficient (r2) was determined. It was found that the in-vitro drug release of capsule was best explained by zero order kinetics as the plots shows highest linearity. The correlation coefficient (r2) was in the range of 0.979 – 0.997 for various formulations as shown in table no. 3. 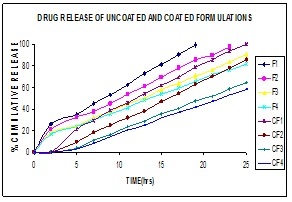 For formulation CF3 without rat caecal content (r2 = 0.994) and with rat caecal content (r2 = 0.975), indicating that the concentration was nearly independent of drug release, followed by Higuchi’s r2 = 0.996 and 0.994, KH = 14.318 and 23.63 respectively without and with rat caecal content. In the current study, the values of release rate exponent (n), calculated as per the equation proposed by Peppa’s, and all the slope values between 0.614 - 0.669 revealed from uncoated capsules, the fact that drug release follows anomalous diffusion control mechanism, whereas all the slope values ranges from 0.964 to 1.821 revealed from coated capsules, the fact that the drug release follows case ІІ diffusion control mechanism. CONCLUSION: Since the guar gum content of coat formulation CF3 (50%) was superior compared to coat formulations CF1 (30%), CF2 (40%) and CF4 (60%). The coat might have been completely dissolved in small intestine with prevention of drug release in stomach and minimum drug release in small intestine. The result show that controlled drug release from coated formulation might have facilitated the colonic bacterial action on guar gum granules and resulted in the degradation of the formulation there by releasing the drug in the physiological environment of colon. The result of study indicate that ketorolac coated capsule with 50% guar gum with 5% w/w cellulose acetate phthalate would be potential formulations for deliver the drug in colon. From the study, cellulose acetate phthalate coated capsules with 50 % guar gum may be useful for drug targeted to the colon successfully. Stability studies were carried out at 40°C for 90 days to assess their long term stability. After storage, the formulation observed for physical change and also subjected to assay and dissolution study of capsule. Stability study shows that 98.06 ± 0.029% drug release from coated capsule (CF3) after 90 days. ACKNOWLEDEGEMENT: The authors are grateful to Mr. T. Saravanan for guidance and support great direction toward research dissertation work. The authors are also thankful to the various companies for the gift sample. Barbara L, Teresa C, Federica B, Isabella O and Vittorio Z: pH-sensitive polymeric physical-mixture for possible site-specific delivery of ibuprofen. European Journal of Pharm Biopharm 2003; 55: 199-202. Antonin K, Rak K, Beick P, Schenker U, Hastewell J & Fox R et al: The absorption of human calcitonin from the transverse colon of man. 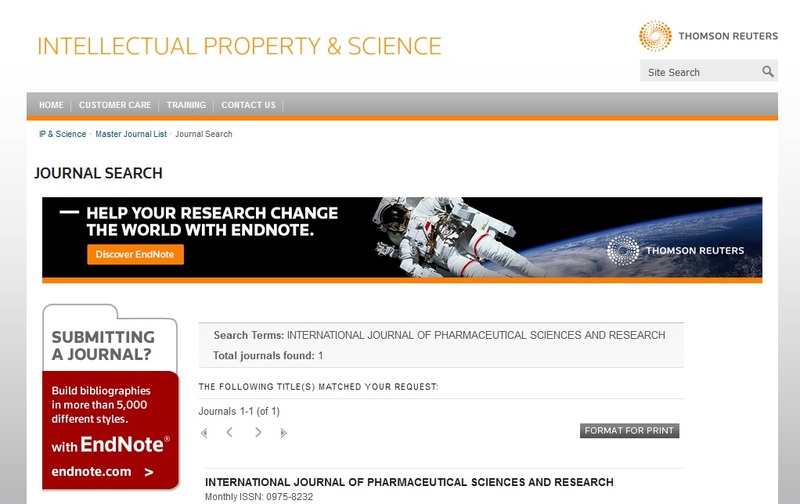 International Journal of Pharmaceutics 1996; 130: 33-9. Tozaki H, Komoike J, Tada C, Marnyama T, Terabe A & Suzuki T et al: Chitosan capsules for colonic specific drug delivery: Improvement of insulin absorption from rat colon. Journal of Pharmaceutical Sciences 1997; 86: 1016-21. Chourasia MK and Jain SK: Pharmaceutical approaches to colon targeted drug delivery systems. 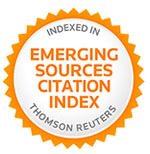 Journal of Pharmaceutical Sciences 2003; 6 (1), 33-66.